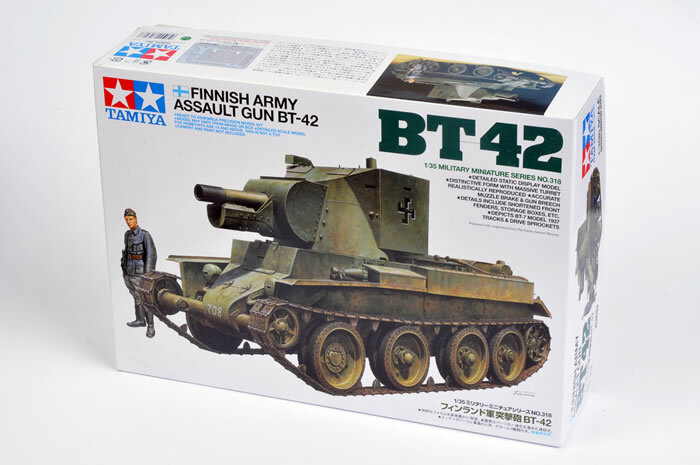 Tamiya's second release in their BT family is the hybrid BT-42 Assault Gun. The BT-42 was a Finnish vehicle based on the hull of captured Soviet BT-7 light tanks, and fitted with a tall, thinly armoured turret fitted with the WWI era British 4.5 inch Mk.II howitzer. 18 of these unmistakable vehicles were produced. In service, the combination of the ancient gun, the high profile and the thin 15mm armour of the turret meant that the BT-42 was a dismal failure when pitted against Soviet armour. In a single engagement on 9 June 1944, the defence of Vyborg, eight of the nine BT-42s deployed were lost. This disastrous action saw the disbandment of the Finnish Detached Armour Company. 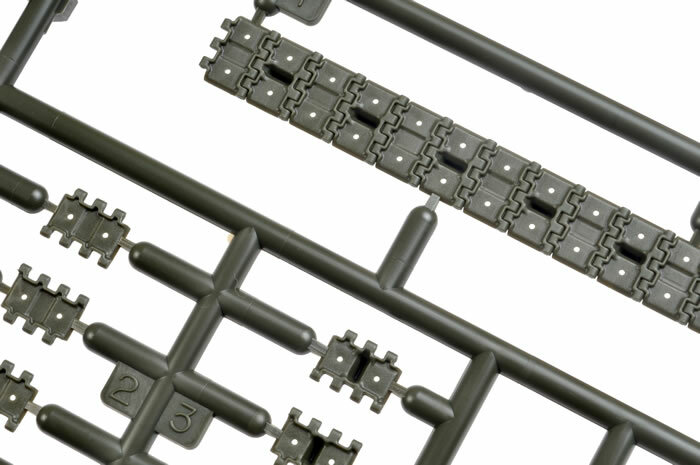 Tamiya’s new 1:35 scale BT-42 comprises 285 parts in dark green plastic, 8 parts in clear, one fret of photo-etched parts, 8 small and 12 large polythene caps and a length of string. Markings for three vehicles are also included. The most obvious new parts are for the distinctive tall turret. The muzzle brake is moulded in one piece, so you won’t have to worry about cleaning up a join seam between all those tiny perforations. The perforations are represented as dimples, but if you are feeling very patient you might consider drilling them out. The only interior detail is a basic breech and two seats. The large space and the two tall separate doors in the rear of the turret would make a nice super-detailing project though. Other unique elements of the BT-42 are also provided. 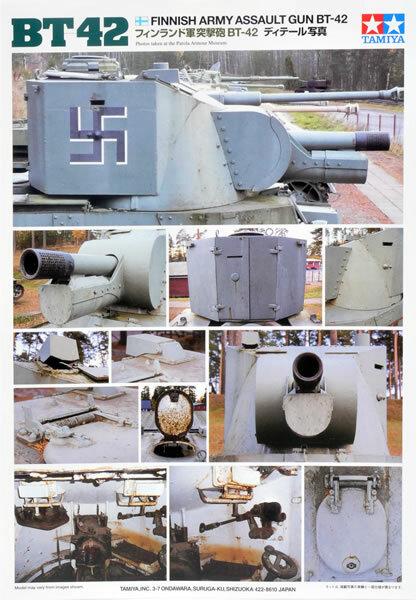 These include Finnish pattern track guards, stowage boxes and headlights and a standing Finnish crew figure. The hull represents a BT-7 late version, so there are a number of important new parts here too. The most obvious is the late-style, short-pitch tracks. 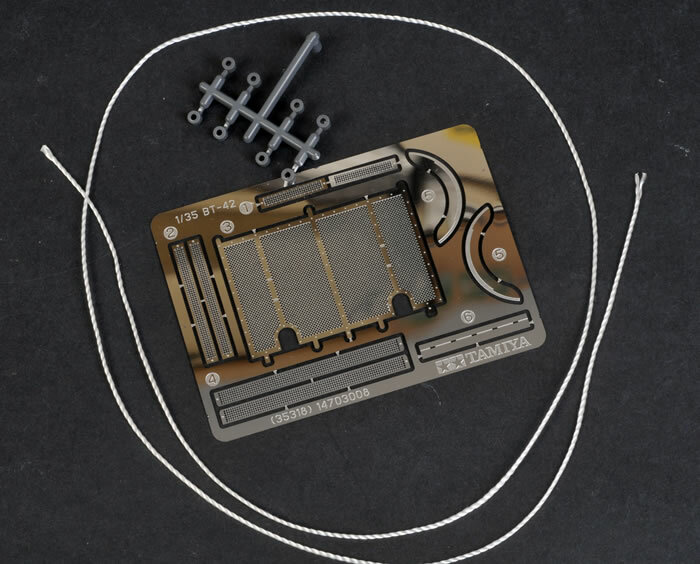 These new short-pitch tracks are supplied as link and length. These should be fast and straightforward to install. The inclusion of these tracks logically points to the future release of a late version BT-7 too. The lower hull is supplied as a “flat pack”, with separate parts for the hull sides, floor, rear hull and nose. 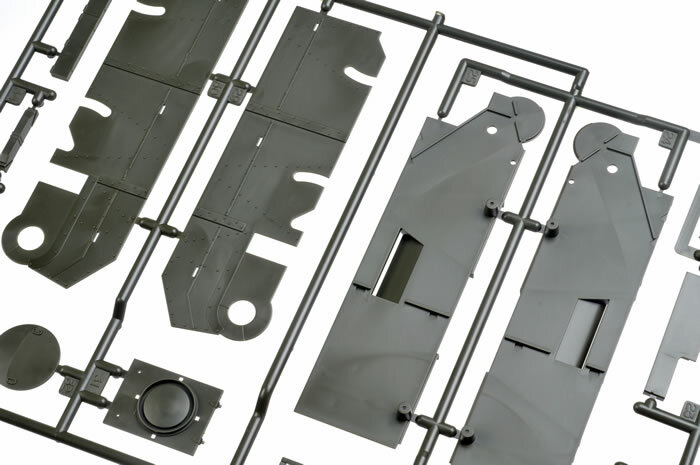 This parts breakdown is necessary to authentically reproduce the characteristic inner and outer hull construction of the Christie suspension design. Assembly jigs are provided for the road wheels and for the photo-etched mesh on the engine deck. Options include poseable hatches for the turret crew and the driver. 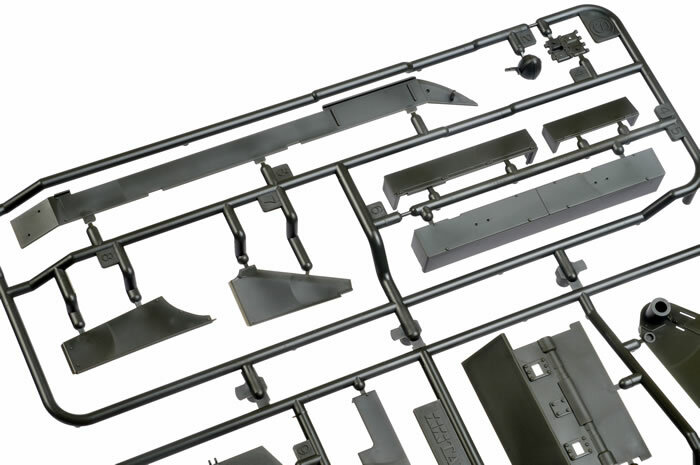 Overall detail is all that we have come to expect from Tamiya. Suspension and running gear is very well represented, while the hull features appropriately raised rivets. A photo-etched fret includes the large mesh for the radiator grille and narrow vents for the engine deck. The mesh parts are beautifully presented with an impressive three-dimensional weave effect. 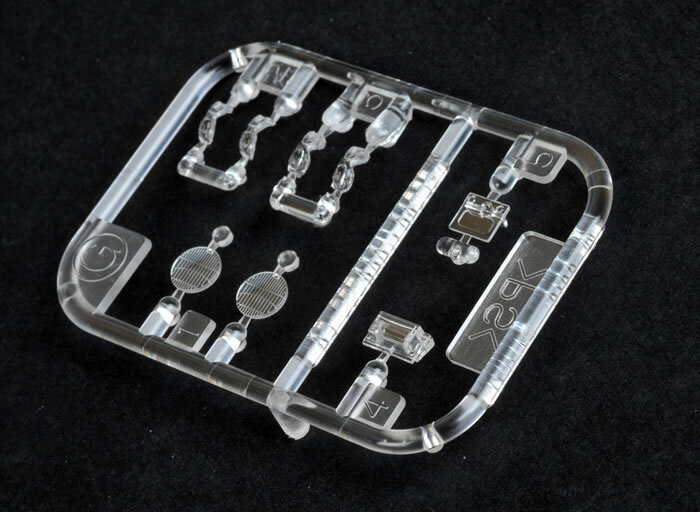 In common with most of their recent releases, Tamiya has included a clear sprue containing not only headlight lenses, but also a clear vision block for the driver’s hatch and goggles for the two crew members. 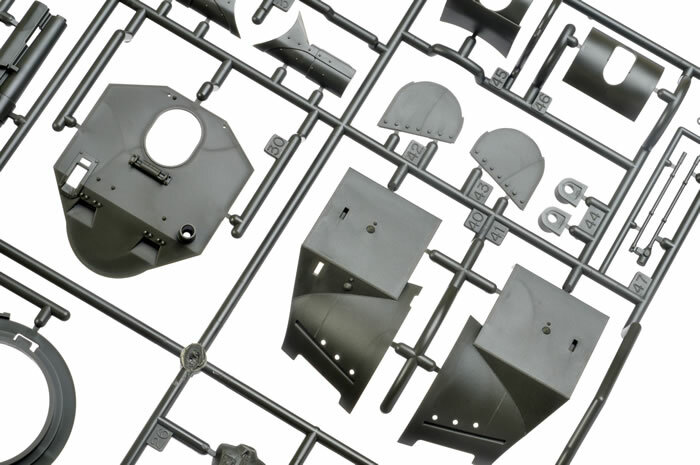 Moulding quality is excellent as usual, but the inside surfaces of the tracks and the hatches are marred with visible ejector pin circles. 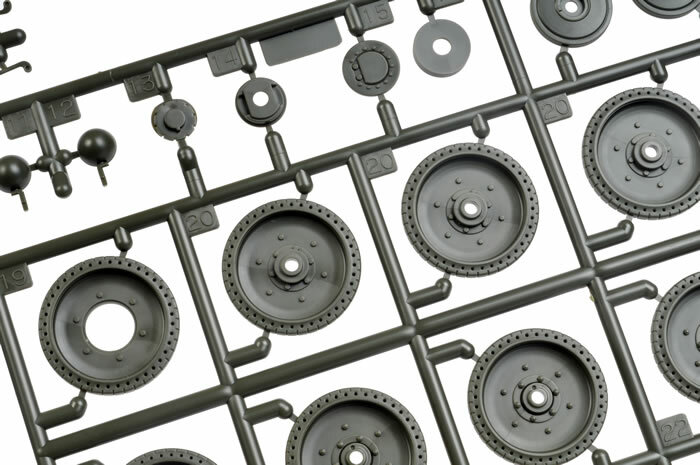 It is worth considering that these circles are one of the reasons that Tamiya kits fit together so flawlessly, but they do demand extra time for filling and sanding. Instructions are provided in 27 steps over 12 pages. A separate colour and markings guide is also included, as is a full-colour double-sided sheet of reference photos – a nice touch. 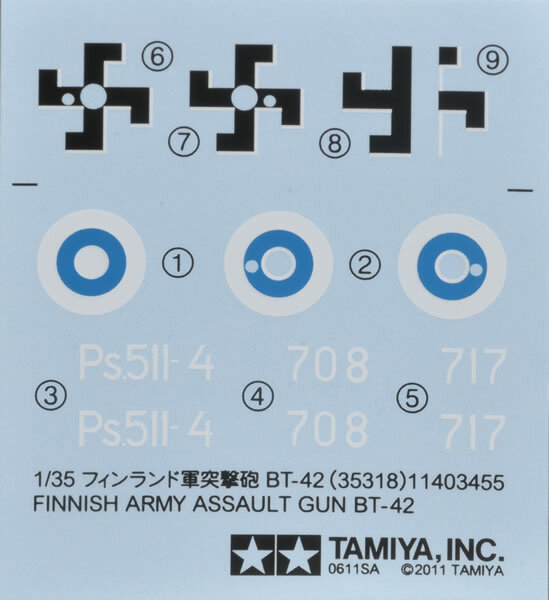 The decal sheet offers markings for three different BT-42s. Two are finished in overall Field Grey, while the third wears the hard-edged three-colour scheme of Moss Green, Sand and Red Brown. This is not the first BT-42 kit that we have seen in 1:35 scale (Eastern Express released one some years ago) but it is most certainly the most accurate and best detailed. 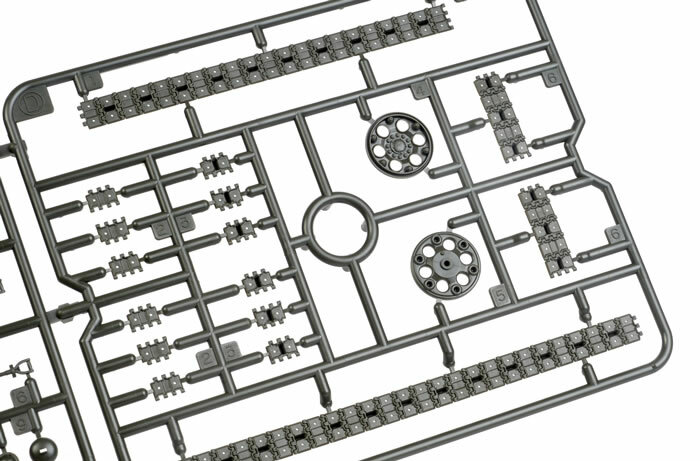 Tamiya’s 1:35 scale BT-42 will be a great addition for Axis armour modellers.